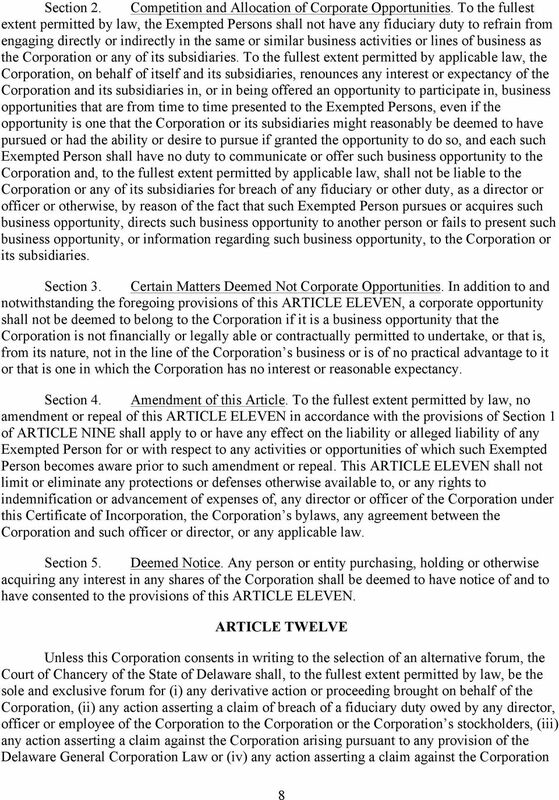 Download "AMENDED AND RESTATED CERTIFICATE OF INCORPORATION. 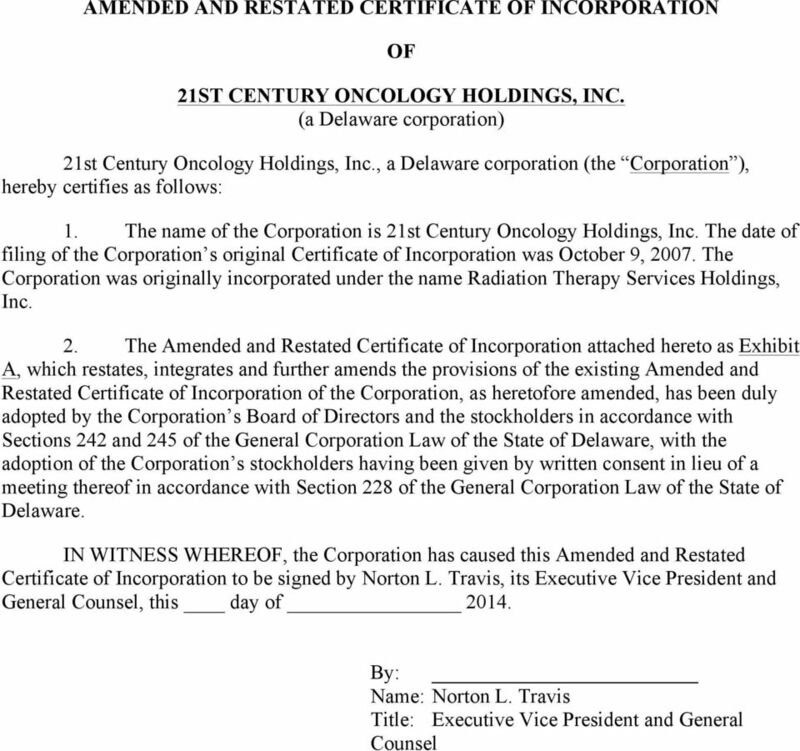 21ST CENTURY ONCOLOGY HOLDINGS, INC. (a Delaware corporation)"
AMENDED AND RESTATED CERTIFICATE OF INCORPORATION OF MIAMI INTERNATIONAL HOLDINGS, INC. 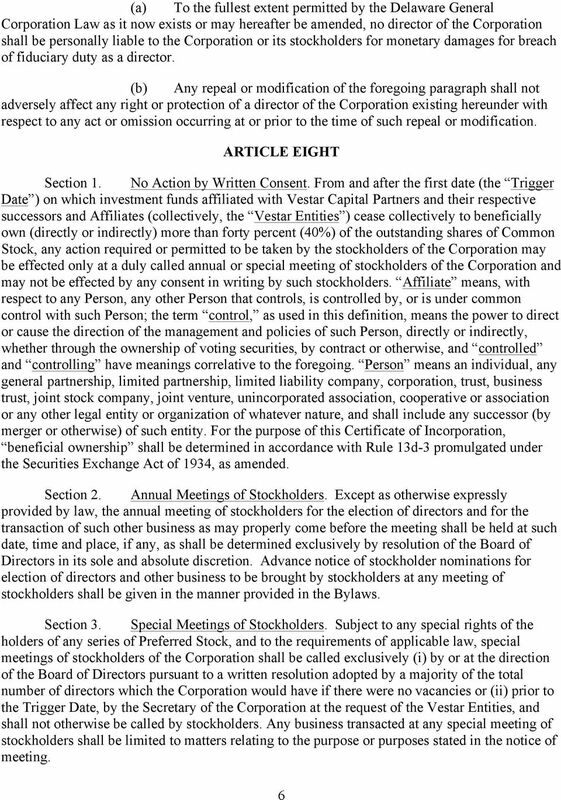 RESTATED CERTIFICATE OF INCORPORATION OF THE GOLDMAN SACHS GROUP, INC. 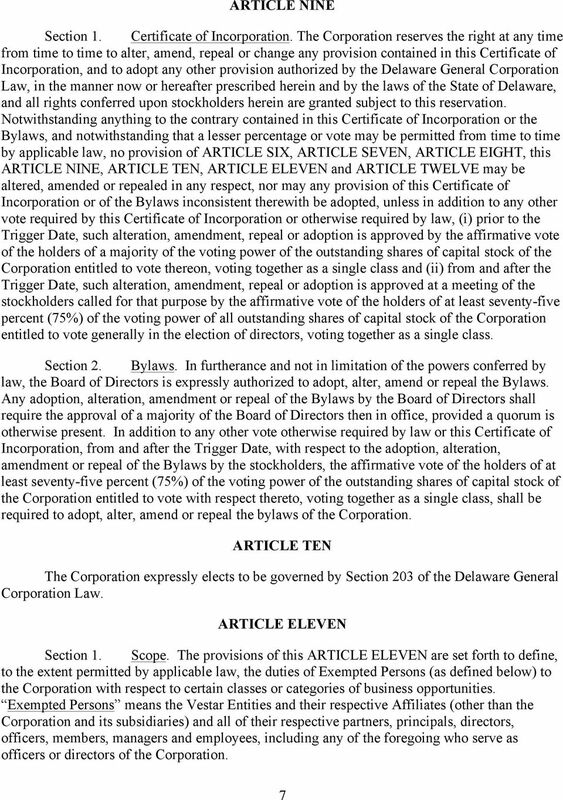 RESTATED CERTIFICATE OF INCORPORATION TELEPHONE AND DATA SYSTEMS, INC. 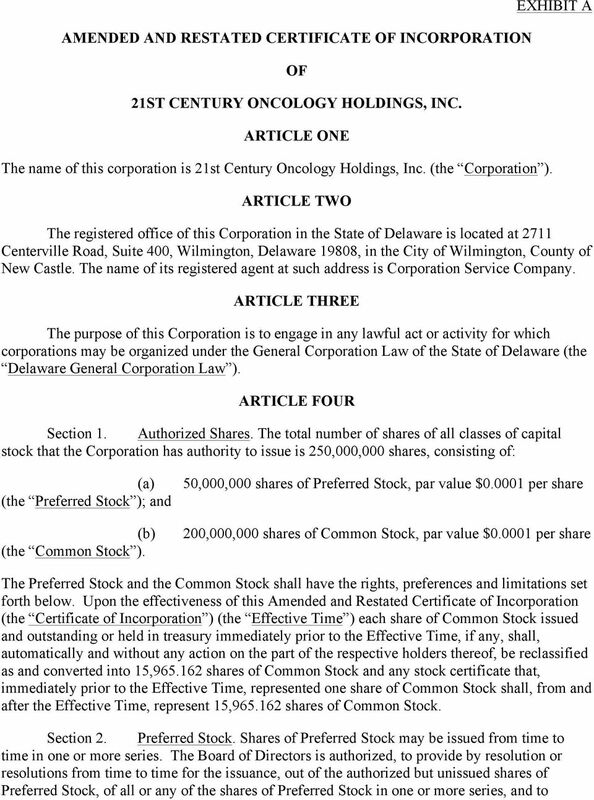 CERTIFICATE OF INCORPORATION MERGE HEALTHCARE INCORPORATED ARTICLE I NAME. 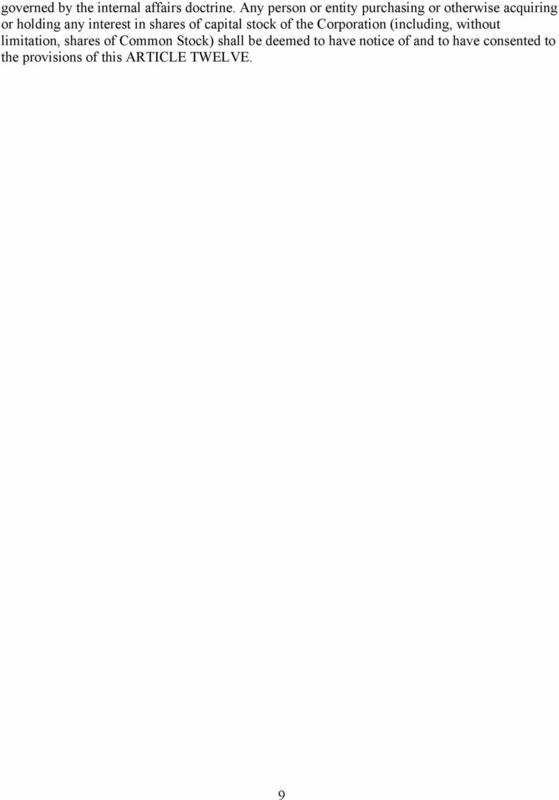 The name of the Corporation is MERGE HEALTHCARE INCORPORATED. 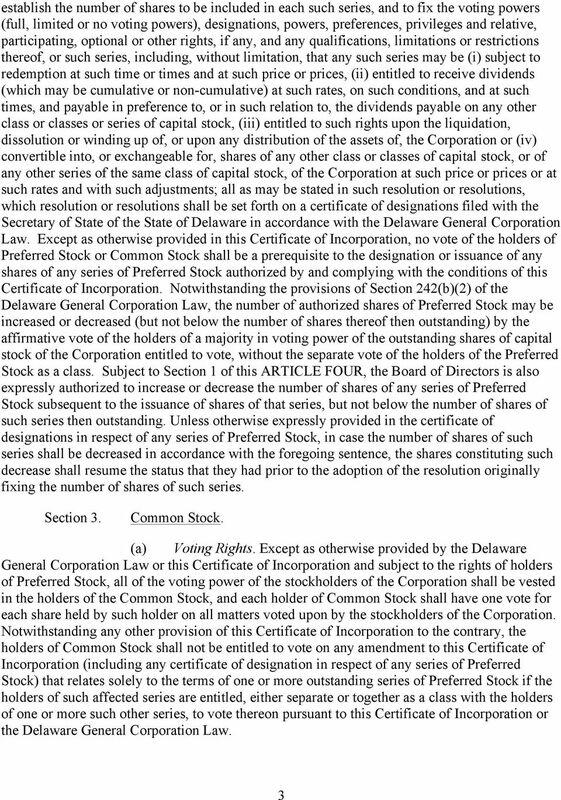 RESTATED CERTIFICATE OF INCORPORATION OF ROCKWELL COLLINS, INC.
Sixth Amended and Restated Certificate of Incorporation of Visa Inc.
Sixth Amended and Restated Certificate of Incorporation of Visa Inc. Visa Inc., a corporation organized and existing under the laws of the State of Delaware (the Corporation ), hereby certifies that: 1. 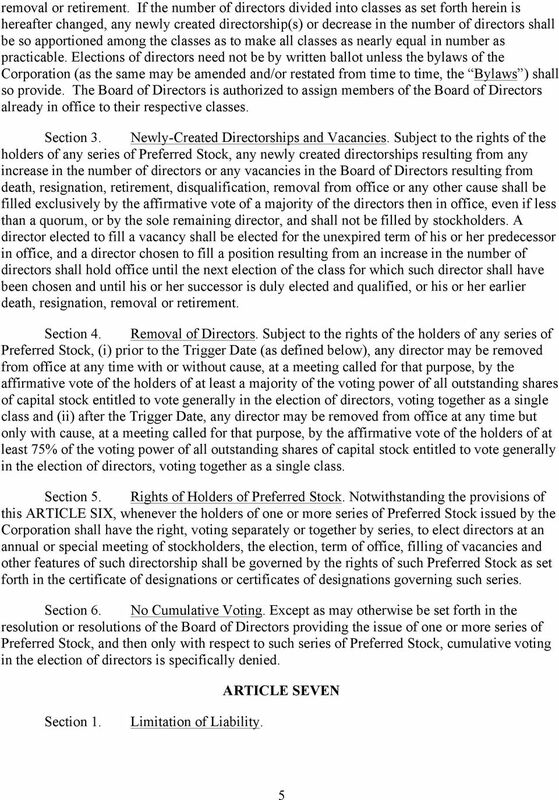 FOURTH AMENDED AND RESTATED CERTIFICATE OF INCORPORATION NYSE GROUP, INC. 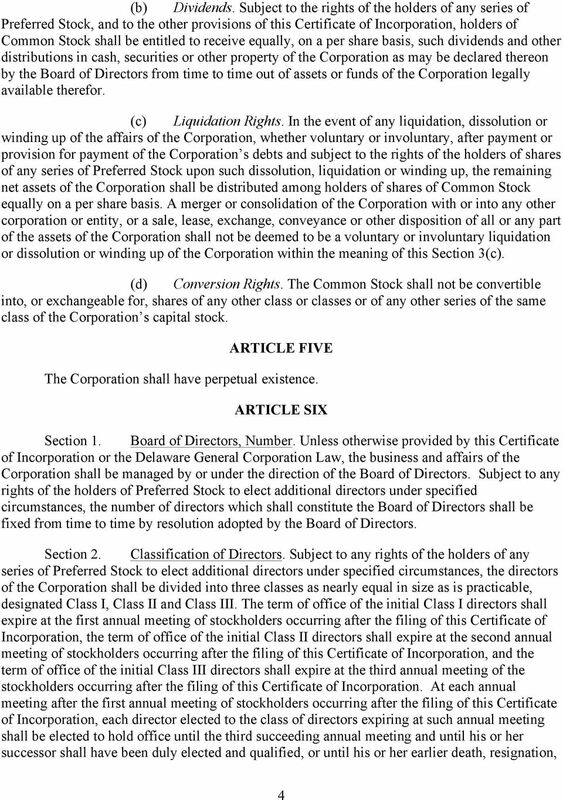 AMENDED AND RESTATED CERTIFICATE OF INCORPORATION OF KAMAN CORPORATION FIRST. The name of the corporation is Kaman Corporation (the corporation ).